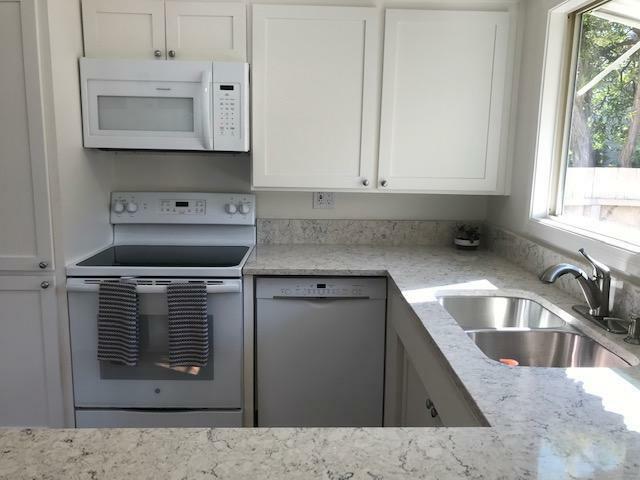 Very nice and desirable Encina Royal ground floor end unit totally remodeled!This two bedroom one and a half bath unit has been totally remodeled with new flooring, carpet and paint throughout, all new smooth ceilings, new custom light fixtures and mirrored closet doors. The kitchen has all new cabinets and hardware, new granite countertops and brand new appliances. 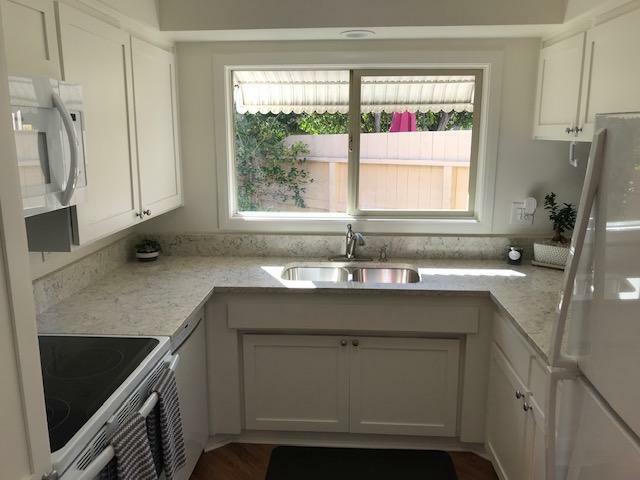 The bathrooms have custom vanities with new sinks and faucets.This unit is beautiful and bright and has an enclosed shared garage space with extra storage. Large patio with new tile and great views. Close to shopping, movies and restaurants. There is a 9 hole private golf course, swimming pool and wood shop The large community clubhouse has a library and workout gym. 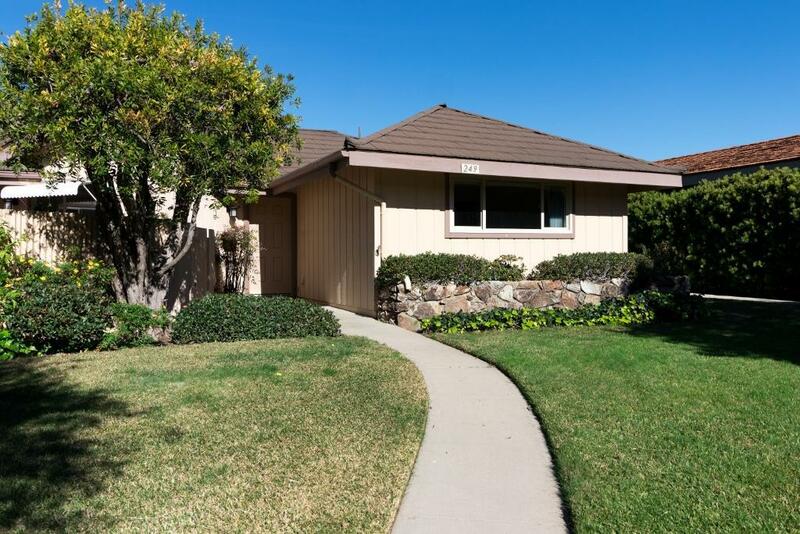 Ready to move into this beautiful remodeled unit. Listing provided courtesy of South Coast Realty.